Cooking is an art. You must have often heard about this, but do you know that having the right appliances can help you to improve your skills on the job? Well, that is quite rightly said! You require the right appliances so that you can stir up some of the most lip-smacking and healthy dishes in no time and with little effort. A microwave oven is one such appliance which happens to be a dire necessity in the current times. A Microwave oven is more than a cooking appliance. It is an appliance that means healthy dishes with minimum effort and also a super fast way through which you can also heat up food in a convenient manner. The contemporary market has a large number of options regarding the brands that offer various models of the microwave oven. Selecting amongst them could be a real challenge. To do the best justice for the money that you will invest in buying the Microwave oven, you must be guided by specific factors. These factors will help you buy the correct model as per your necessity. “Your Necessity”- this is the most important criteria. You must be able to understand and underline it so that you can make a compelling buying. Hence, to begin with, let us get down to understanding the requirements that you have and the essential points that the microwave oven has to serve to fit your bills. The market has an array of excellent product with super fancy features. Going by them there is a high chance that you will end getting confused and buying a wrong product after all. 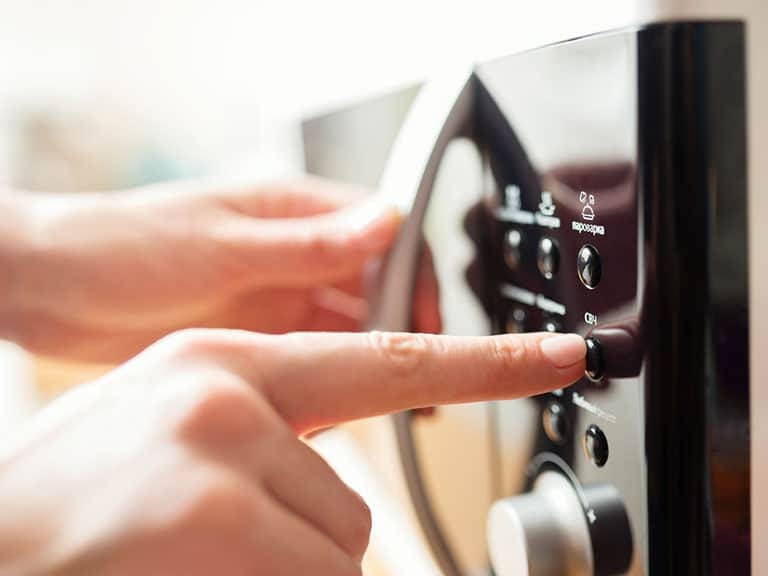 Before we analyze the various components of your requirement, let us take a look at the different types of microwaves that are doing their rounds in the market. Once you get a proper understanding of the various kinds of microwaves and the unique features they have, you can take a better decision of purchase. These different types of microwaves have their strengths and are perfect for various and definite kinds of usage. Once you get an understanding of them, you can relate their features and your requirements better. These are the basic models of microwave ovens. They are good for simple types of cooking and are rather perfect for reheating of food. If you are a bachelor or a person who is staying at home alone and gets mostly cooked food from somewhere outside, then this can be a perfect appliance for you. The already cooked food or storing cooked food in the fridge can be quickly heated in this oven and can be eaten. Again, if you have the basic requirements of cooking that does not require grilling and baking, then again such solo microwave ovens are good for you. They are quite economical in their price bracket as well if you compare them with the other designs of microwaves in the market. If you have a desire for grilled food that will be low on oil and another greasy medium of cooking, then the grill microwave oven is a good choice for you. With grill microwave ovens you can reheat cooked food and can also do other types of cooking like preparing tea and coffee and also making other dishes like paste, noodles, and rice. Tandoori and grilled meat and paneer can be done to perfection with these grill microwave ovens. These microwave ovens are by the best type of appliances that can help you to make various types of cuisines. From simple cooking to that of grilling and making sumptuous grilled items to the baking of cookies and cakes – these appliances can do it all. They can also reheat cooked food. A convection microwave oven is an appliance that uses a fan and a heating element that creates warm air flow pattern inside the device. With an understanding of the cooking that you can do with each of the different types of a microwave oven, now it is up to you to decide. Buying the right appliance will be a lot easier. Next, we shall see some of the significant factors to consider while buying a microwave oven. This is yet again another important factor that will help you to decide on the right model of the microwave oven. Size of the microwave oven will indicate the space inside the appliance. It will show the amount of food that you can make at a single go. This will be influenced by the number of people for whom the cooking needs to be done on a daily basis. Hence the number of family members or the strength of the family will influence your decision of choosing a model of the microwave oven. This when correctly combined with the style of cooking required will help you buy the right product. To illustrate better, let’s say you have a family of 2 to 4 members. The kind of cooking that requires doing is mainly simple dishes. Then you can go for a solo microwave oven of 15 to 20 liters. However, if you have a family of 2 to 4 members, but require to do the cooking on the grill and the convection medium then you require a microwave oven capacity of 21 liters to 30 liters. Similarly, if you have a family of 6 or more members ten, you require a solo microwave oven about 25 to 30 liters. For the same family strength if you need a grill and convection microwave oven, then the capacity requirement will rise to 32 liters or more. To buy the most suitable product, it is important you also have a good knowledge about the way a microwave oven works. The technology it uses to cook and heat food will help you understand the kind of model that will suit your bill the best and also the cooking that you can do with the help of this appliance. Microwaves works on the dint of electromagnetic waves. The combination of the magnetic and the electrical radiations are generated by the electron tubes in the ovens. This tube is called the magnetron. The magnetron releases the microwaves that heat up the water content in the food items, and the cooking takes place. This is why cooking completely dry foods in the microwave could be a tough affair. With knowledge of this, you can now choose the models of the microwaves better for your kitchen use. These days, to sustain the highly competitive market, the different brands have come up with different features and facilities to stay ahead in the competition. You must make a proper analysis of these features which will eventually help to buy a good model. Some common features that you must check at the time of buying a microwave oven are as follows. Child Lock – This is a feature which ensures the safety of little children I your family, hence is a rather important feature that can prevent some undesirable and serious accidents. In any microwave oven, soon after usage, the insides of the microwave oven happen to be very hot. This is why a child lock system is desirable. With this feature, you can set a lock combination that will have a certain password key or numerical lock. It can make working much easier, safer and hazard free for the adults, who need to manage children and chores of the house single-handedly. Auto Cook – This is one smart feature that can simplify your task. All you need to do is set the mode of cooking, configure the time and the temperature of the food and provide the choice of the dish that is being made. Then you can go to your other work while you leave the cooking part to be done by the microwave oven. This is one effortless way through which you can multitask in a very efficient manner. However, this is a feature that will be found only with the high-end appliances. Power Levels – Look for microwave ovens that will have numerous power levels. This will help you to cook different types of foods and also different quantities of food. Look for power knobs that are easy to read so that you can select the right combination without any hassle. Along with the ‘high,’ ‘medium’ or the ‘low’ power levels the exact temperature must also be maintained for your benefit. When speaking about power levels, it must be mentioned that when buying a microwave oven look for ones with a higher star rating. This will help you to purchase appliances that will be safe for long-term usage. Such devices will result in friendlier electricity bills in the long run. Defrost – This is an option that is used when you require thawing any frozen food item. Do not mistake this as the same has heating food. When you are heating food, the temperature of cold food is raised. However, in the thawing of food, ice is melted, and stiff food from the freezer gets softened. This process could be done for both raw and cooked and processed food items. Preheating – This is a feature which becomes imperative if you want to bake and grill food items. While you are baking something, you need the oven to be at an absolute temperature from the very beginning. This helps to cook the food thoroughly and give it the required finish and texture. This is easily attainable with the feature of preheating. Control Panel – When buying a microwave oven be sure to check the control panel very carefully. There are different designs in the market. You can get panels that have buttons which need to be pressed; some knobs can be turned and adjusted 360 degrees. Again, there are feather touch panels that must be handled with care. Choose a model whose control panels seem to be the friendliest. Accessories – when buying an oven, give detailed attention to the different accessories that are being given with the oven. Different brands are offering different types of accessories. They provide skewers that could be used for making delicious kebabs; again many OTGs offer super sleek baking trays. Some of the brands offer grill stands and rotisseries. Additionally, you can also get special offers of microwave oven gloves being given out. However, these are individual cases. The skewers, grill trays, and the rotisseries are the most common accessories. Some of these brands as special offers also provide cookware that could be used for cooking or storing of food. There are certain safety parameters that must be borne in mind at the time of using microwave ovens. These are the parameters that can keep you safe and sound at the time of using these home appliances. There are certain do’s and don’ts that must be adhered to if you want to avoid nasty accidents while using microwave ovens. Firstly do not use any metal container within the microwave. Use only microwave oven proof utensils and containers. When you are using glass utensils be sure that they are microwave oven proof. Do not heat baby bottles in the microwave oven. When using convection mode of cooking be sure to use baking gloves to avoid burns. Clean the inside of the oven after it has cooled down reasonably. Finally, on a closing note, it must be said that currently, the internet is full of rumors that say that using a microwave oven for a long duration can harm your health. This is nothing more than a myth. Clarifications and explanations provided by the official page of the Food And Drug Association of America have said that using a microwave oven for cooking food is entirely safe for humans. Hence now you can use this wonder appliance without any fear of lurking ailments for you and your loved ones.